As an owner of a car, you can understand how important it is to keep track of your keys. Sometimes we lose our keys and need replacements to be created. You can call a licensed, bonded, certified and insured locksmith in Reno to manage the job for you. To quickly explain some basics, you may want to know that there several types of keys made depending on a particular make and models. Some make and models will have two sets of keys where one will open the doors and trunk while the other will operate the ignition. Other make and models will have one key to open the doors and operate the ignition altogether. At the end of the 90’s and early 2000’s, many car manufacturers started to incorporate a transponder system in their vehicle. 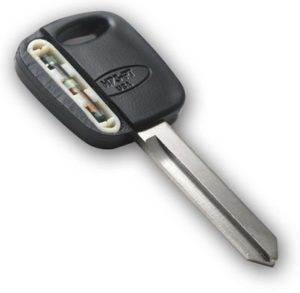 This means a key would be equipped with a transponder chip which will require starting the vehicle. 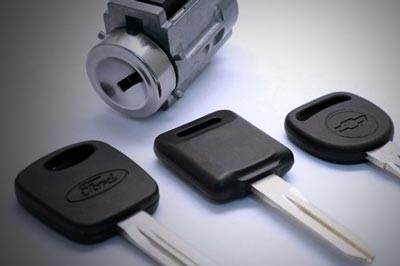 A new transponder key made requires programming to the vehicle in order to start it. Your local Reno locksmith will easily be able to perform this job. Transponder keys (aka chip keys) were brought onto the market in the mid-1990s so as to assist in eliminating auto theft. It is a small chip that resides in the top portion of your car key that signals a specific serial number to an immobilizer within your car in order to permit your vehicle to start up. These keys are generally more expensive to purchase because it involves reprogramming and because of the transponder chip inside the key. -You lost the key that starts your car, but you have a back-up key that opens all of the doors to your car. Luckily, you can call your local locksmith and we can program your existing car key so that it will start your car assuming it is equipped with a transponder chip already that just require programming. -You don’t have any existing keys to your car. It’s okay! We can produce a new key for you. -Remember that it isn’t a bad idea to have an extra car key made before a tragic event occurs. If you don’t want to have another transponder key, at least consider a key to open the doors. Having no access to your vehicle or not being able to use it to go places can be frustrating. When getting a new automobile key made, a locksmith will need the following information from you. We will require seeing your personal identification, vehicle registration and VIN. Once everything checks out, a locksmith will utilize a database of key codes and a key cutter to produce the key. Once the key is made, the locksmith will be able to program it for you. Remember that a key must be programmed in order for it to start the engine of your vehicle. This entry was posted in Locksmith Tips and tagged key, locksmith, locksmith reno, reno, reno locksmith, transponder, transponder key. Bookmark the permalink.